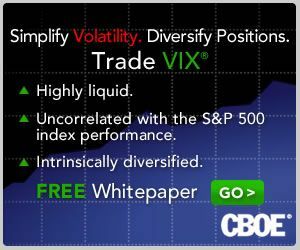 How does the VIX generally perform during options expiration week? What about the week before options expiration week? The week after? This week is the only week where the VIX has traditionally made a significant move down, probably a case of reality falling short of the expectations that some associate with -- and plan for -- on triple and quadruple witching expiration weeks. On average, options expiration week has the VIX falling 2.7%, compared with an average rise of 1.4% on non-expiration weeks. The VIX is significantly more likely to fall 15% or more on this week than on any other week. Correspondingly, this is the week in which the VIX is least likely -- at least in terms of historical data -- to spike to the upside. As many times as I have seen things heat up the week before options expiration, it came as a surprise to me to see that the week before options expiration consistently displays lower VIX volatility than the week of expiration or the week following expiration. Consistent with the idea that high volatility may be just around the corner during options expiration week, the VIX is least likely to spike to the downside during the week before options expiration – by a large margin. The VIX will spike to the upside more often than other weeks, but the combined upside and downside volatility of the VIX on the week before expiration is the lowest of the three weeks I examined. The average gain on the VIX of 1.4% during this week is the highest of the three weeks, but is not meaningfully higher than the 0.2% of the other weeks, particularly if one backs out the historically poor performance during options expiration week. One surprising finding was that the VIX is more likely to spike up or down in the week following expiration than any other week. The probability of an upside spike of 15% or more in the VIX was significantly higher in this week than any other week. The pattern held true for downside spikes as well, with the VIX significantly more volatile to the downside than the week before options expiration and slightly more likely to spike down than during options expiration week. In terms of relative performance, the upside and downside spikes seem to cancel each other out as the VIX is up an average of 0.8% during this week and 0.4% in the other weeks. For those who are not familiar with the quirky personality of the VIX, this might be a good time to keep in mind that just looking from weekly close to weekly close, you can expect a price change of at least 10% -- either up or down – in 30% of all weeks and a move of 20% or more on 7% of all weeks. On average, VIX moves down have been much more frequent during the past two decades than moves to the upside, with moves of 20% or more from week to week occurring at a rate of four times more frequently to the downside than to the upside. With the fifth consecutive week of dropping prices and a 10.15 close last Friday, I am mildly bullish on the VIX right now and would look to aggressively buy VIX calls should the VIX slip to the 9.75 mark. Raymond James: QID or VIX for a Downturn?